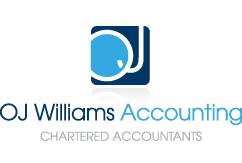 OJ Williams Accounting Limited is a chartered accounting firm based in Wallington, Surrey. We believe accounting information should be informative and add value it shouldn’t be reactionary and out of date after your year end. If you have up to date accounting information you can make informed business decisions. We offer all the accounting services that your business needs and as all businesses are different we will tailor our service for you. If you are self employed we can help you with your self assessment tax returns. We have clients based all over the country who we work with remotely. We can talk through things over skype, email or phone and get all relevant files via email, programs such as dropbox or by post. Working with us will give you additional rights and protection than working with a non-chartered accounting firm. A firm can call itself ‘accountants’ even if they do not hold any qualifications. 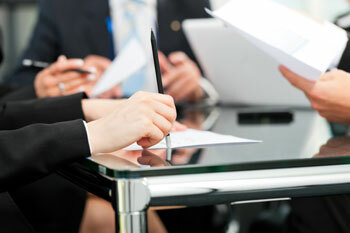 Only when you work with a ‘Chartered Accountants’ you can be sure that you are dealing with qualified professionals. OJ Williams Accounting Limited is covered by Professional Indemnity insurance. Our professional indemnity insurer is Hiscox UK of Hiscox House, Sheepen Place, Colchester, Essex, CO3 3XL. The territorial coverage is worldwide excluding professional business carried out from an office in the United States of America or Canada and excludes any action for a claim brought in any court in the United States or Canada. You will have the right to complain to the ICAEW. We are committed to providing you with a high quality service that is both efficient and effective. However, should there be any cause for complaint in relation to any aspect of our service please contact us. We agree to look into any complaint carefully and promptly and do everything reasonable to put it right. If you are still not satisfied you can refer your complaint to the Institute of Chartered Accountants in England and Wales. The firm is run by myself; Owen Williams, from my home, in Wallington. I work from home as I don’t feel there is a need to have an office or admin assistants and all the costs associated with them and the good news is that I can pass these savings on to you. The reason I started this business was because I thought I could offer flexible accounting and taxation services for a fair price. I have kept my costs low to offer competitive prices without cutting the quality of the service. I have invested in good accounting software and systems but not in an office, assistants or someone to give the company a twitter feed. No one wants tweets from their accountant, just good flexible service and good informed tax advice. Unlike some other accounting firms you will not have to deal with a ‘team’ of different part-qualified accountants, who might not have the required knowledge or understanding of your business to help you. Every time you call you may deal with a different person whereas when you work with OJ Williams Accounting you will always deal direct with me. I am an ACA qualified chartered accountant, I gained my qualification with PricewaterhouseCoopers in their Investment Management department in London. Since PwC I spent 5 years as a financial controller at a private equity company performing the accounting function for many companies across a wide range of industries and countries. I have gained lots of experience in compiling and submitting company accounts, performing full company secretarial functions, company tax returns and personal tax returns for partners and management. 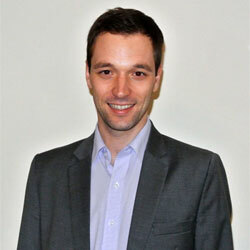 Whilst working for private equity companies, I specialised in identifying possible tax savings. I will always work to ensure you extract money from your Company in the most tax efficient way possible, either through dividends, salary or a combination of both. Contact me for a no obligation chat about your situation. I can be flexible to work around you, so if it’s better for you to meet up in the evening or on a weekend for a free consultation over a coffee let’s do that.